According to new president and chairman of Horticulture New Zealand Barry O'Neil, he is taking over at an exciting time for the sector. The HortNZ board has elected O'Neil to the positions, replacing Julian Raine who has stood down to pursue other business interests. Mr O'Neil has been a grower since 1984, owning kiwifruit and avocado orchards in Whakamarama, and since 2003 has been growing kiwifruit in Katikati. Between orchards he held a number of government roles, including New Zealand Trade counsellor to the European Union and chief veterinary officer for the Ministry of Agriculture. 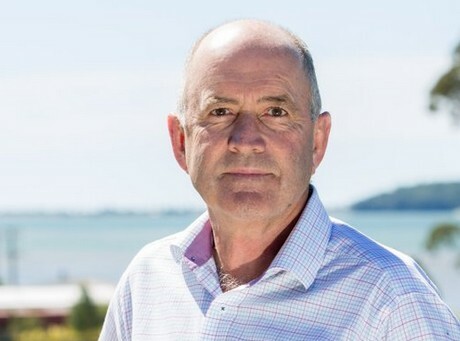 He was the chief executive of Kiwifruit Vine Health for six years, driving the industry recovery from Psa, and has held a number of board positions including being deputy chair of Scion, chair of Tomatoes NZ, and chair of the kauri dieback review panel. O’Neil has been an independent director on the Horticulture New Zealand board since April 2015, but with his appointment as chair, he will now stand as a grower elected director at the 2019 director elections. He said he is looking forward to his new role: "These are exciting times for horticulture as the world catches on to our vision of healthy food for all forever. While I have a strong background in governance, government and as a grower, I am excited about working with growers to find a better future - for both us and our grandchildren." Grower representative on the HortNZ board, Bernadine Guilleux, was elected vice-president. Ms Guilleux has a strong marketing background, in New Zealand and Europe, and said she will be using those skills to help tell New Zealand's unique horticulture story to the wider public. According to an article on newshub.co.nz, both positions are effective from January 1, 2019.